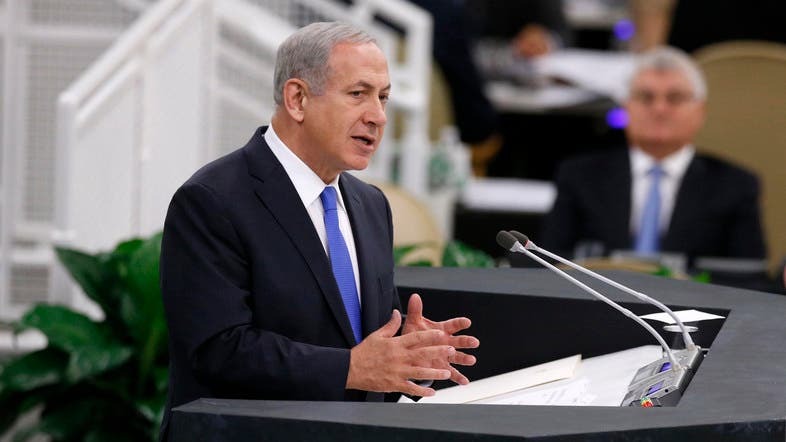 Israel is ready to act “alone” to stop Iran from building a nuclear bomb, Prime Minister Benjamin Netanyahu told the U.N. General Assembly on Tuesday. “Israel will not allow Iran to get nuclear weapons. If Israel is forced to stand alone, Israel will stand alone,” Netanyahu said to world leaders and ministers. He said Iranian President Hassan Rowhani cannot be trusted and that the only way to peacefully stop Iran from developing nuclear weapons is to combine tough sanctions with a credible military threat. “I wish I could believe Rowhani. But I don’t,” Netanyahu said. Israel’s future, he said, is threatened by a “nuclear-armed” Iran, seeking its destruction. “Iran wants to be in a position to rush forward to build nuclear bombs before the international community can detect it and much less prevent it,” he added. An Iranian diplomat at the U.N. meeting said the government rejects claims that it is seeking a nuclear weapon. Netanyahu accused Rowhani of masterminding Iran’s strategy to advance the country’s nuclear weapons program and said his goal was the same as his hard-line predecessor, Mahmoud Ahmadinejad. “Ahmadinejad was a wolf in wolf’s clothing. Rowhani is a wolf in sheep’s clothing,” Netanyahu said. He stressed that all Iranian presidents serve the same “unforgiving regime” where the supreme leader, Ayatollah Ali Khamenei, is a dictator and the real power. He also accused Iran of lamenting the human tragedy in Syria, but at the same time directly participating in “Syria’s murder and massacre of innocents.” He said Iran’s regime is propping up the Syrian regime that just used chemical weapons against its own people. Khodadad Seifi, a deputy ambassador in Iran’s U.N. mission, told the U.N. General Assembly that Netanyahu’s remarks had been “inflammatory” immediately after the Israeli spoke at the meeting.